-Fixed the affect of upgrading fins. -Fixed a bug on upgrades. -Changed tire's spec a little. -Slightly enhanced the value of the wheel bend. -AIR OUTLET by gating the effectiveness of implementation. -Modify the rate of decline of grip the tire wear. -Little change in the amount of load changes. -Fuel tank capacity from 134L to 135L modified. -Change is easier to fire the engine. -Slight change in fuel economy. 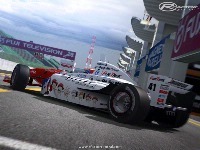 FN2008_Support in the folder FN2008_logo_edit1_ver or FN2008_logo_edit2_ver from those who prefer a FN2008_logo.tga, rFactor rFm Please copy & paste. 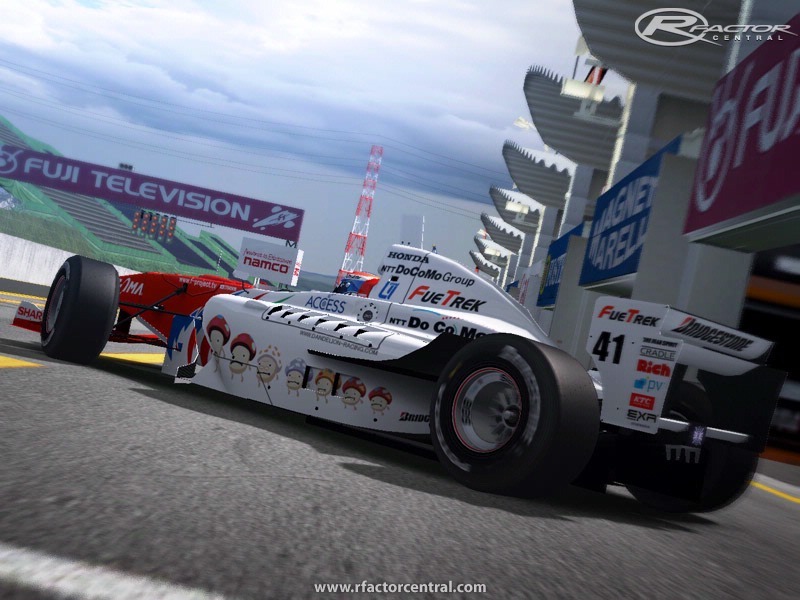 Being something which GUNBOY and rFactor serise have it does the copyright of FN2008 Mod. You prohibit the unauthorized borrowing of the modeling data and the behavior data of FN2008 Mod, hard. At Racing Teams we will race this mod from now on at some of the world's finest tracks. Simply amazing mod! Feeling of the car is just mindblowing and everything has been tweaked into perfectness! Exellent job chaps! First of all, thanks for this absolutelly fantastic Mod! About the cameras, there is an extra file that you can install to change the cameras position. 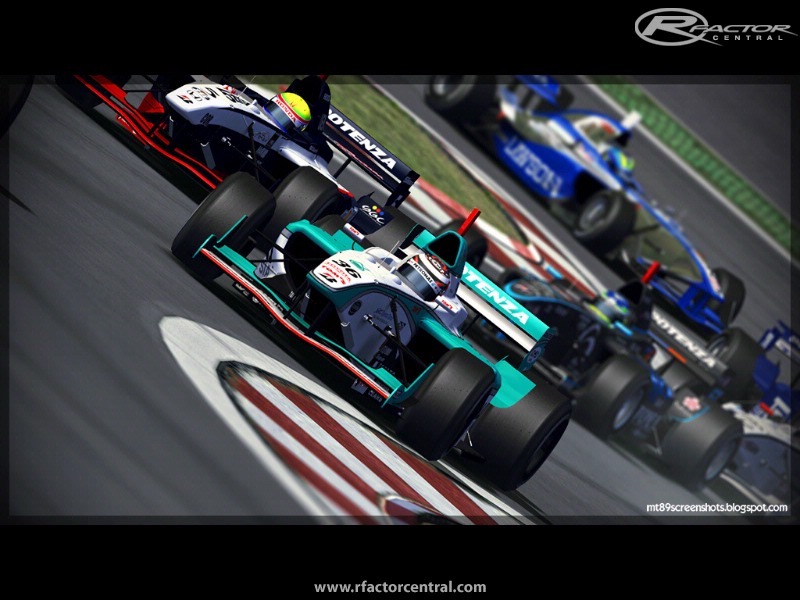 The mod is fantastic, one of the best rfactor mods. 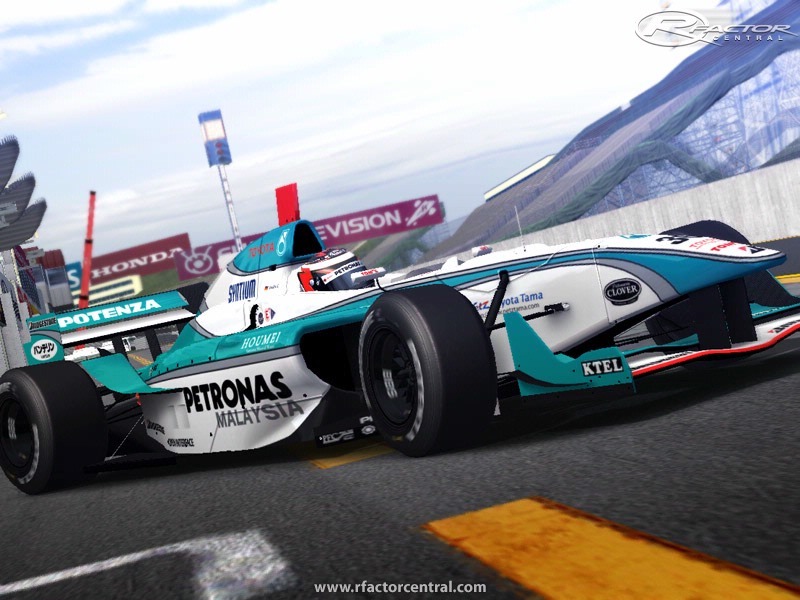 Formula Nippon is a fantastic racing series... by the way, are you guys planning on doing a new mod for 2009 and 2010 season with the new Swift car? This is one of the best rF mods out for sure. My only gripe with it is the silly T-Cam view. I do race from cockpit btw before anybody goes l33t on me. But a good t-cam view is a good thing to have. Has anybody altered theirs to look more normal like F1 mods have it ? What do you mean with early season and late season? Does early mean Round 1 and 2 or also 3? Does late mean 7 and 8 or also 6?